– Required WordPress version checking is moved to plugin activation hook and is not called every time when plugin is executed. – Administrator can now exclude non-core (custom) capabilities from his role. It is useful if you need to fully remove some capability as capability deletion is prohibited while it is used at least one role. – bbPress compatibility issue is fixed: capabilities created by bbPress dynamically are excluded from the capabilities set in User Role Editor to not store them in the database as persistent WP roles data or user capabilities. 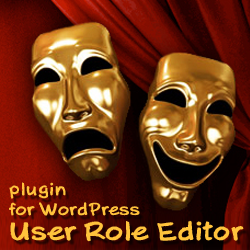 – Additional roles are assigned to user without overriding her primary WordPress role and bbPress role. – Changing WordPress user primary role at user profile doesn’t clear additonal roles assigned with User Role Editor earlier. 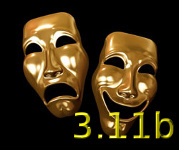 This entry was posted on Sunday, March 17th, 2013 at 07:41	and is filed under ShinePHP plugins news, WordPress. You can follow any responses to this entry through the RSS 2.0 feed. You can skip to the end and leave a response. Pinging is currently not allowed.